LELAND, NC (May 15, 2018) – Bobby Harrelson, owner of CP Brunswick, LLC and developer of Compass Pointe, just announced the sale of the Compass Pointe Golf Club and Magnolia Greens Golf Course to Renaissance Golf Group, LLC. This newly formed entity will be managed by Partner Jay Biggs, who will also serve as the President and COO. He will actively manage the daily operations and membership programs for the clubs. Jay is a PGA Professional with more than 25 years of experience in golf and club management. He has successfully increased revenue in golf plays, membership sales, and retail sales by using creative strategies for efficiency in operations. 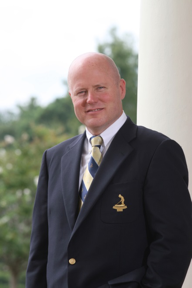 He has received several prestigious awards by ClubCorp, which is one of the largest club and resort operations in the world, and he served as President of The First Tee of the Sandhills for two years. Jay has managed some of the most notable clubs in the nation, including serving as the General Manager of The Country Club of the South in Johns Creek, GA; Director of Operations and Membership at Firestone Country Club in Akron, OH; and most recently, Senior Vice President of Golf and Club Operations at Pinehurst Resort & Country Club in Pinehurst, NC. “We are excited about this acquisition and look forward to implementing new ideas and strategies. Each club has its own unique character and potential for growth. Our focus will be on quality, service, and fun,” says Jay Biggs. In addition to these new acquisitions, Renaissance Golf Group will also manage the operations for Beaufort Golf Club in Beaufort, NC; thus, overseeing three established golf clubs. Bobby Harrelson is one of the region’s most experienced and respected residential developers. With more than 50 years of experience, his development projects have included Magnolia Greens, Waterford of the Carolinas, Echo Farms, and The Cape. Mr. Harrelson’s current project, Compass Pointe, currently has more than 800 existing homes and approximately 60 under construction. Compass Pointe will ultimately be home to more than 2000 residents. Compass Pointe is a gated, residential community 10 minutes from Wilmington, NC. It offers new luxury homes and resort style amenities. The Compass Pointe Golf Club opened in June of 2016 and has been awarded for Excellence in Design by the American Society of Golf Course Architects. Please call 888.717.6468 or visit www.CompassPointeNC.com for more information.